Attract a Libra astrology sign. The things that a Libra astrology sign finds interest in are varied; these interests may run from antique shopping, decor, collecting objects, theatre to music, for example. You will notice that most these interests are from the aesthetic realm. With a Libra, you will never run out of things to do or talk about. Libras have a way with conversation in general. When it comes to discussing a particular subject, make a strong opinion without becoming offensive or defensive, Libra's like to hear both sides of a story. If you do take a strong stance on anything; Libra will always play "The devil's advocate". With other zodiac signs this type of thing might lead to an argument with Libra this will only stay at a brisk conversational level. Libra loves opulent things and places; they will judge you by the fancy things you have and the posh places you go. A Libra doesn't worry about price. The motto of a Libra astrology sign person is: "If you can't afford it, you don't deserve it". Librans think that if something is pleasing it's worth the price every time. If you want to catch a Libra astrology sign person and keep them, be classy and tasteful. Never be sloppy in the way you dress; Librans like to show off their lovers. Show class in the way you outfit and keep your home too. Serve classy food, or at least present the food in a classy way. No loud music, harsh lighting; think refinement, think soft lighting and music, think ambiance. Libra is one of the zodiac signs that is prone to letting themselves be "stolen" away from a current lover. So, if you are "hot" for a Libra and they are involved; make a play for them anyway (If your so inclined) but make sure you can out-class their current lover. A love interest of Libra, will always find that they have competition. So, if you’re so inclined to stealing lovers; don't be afraid to get in the game of trying to reel Libra away. Libra's are always on the look out for a better version of the one they are with. Remember though, this can also happen to you in the long run. Tell the Libra male that "he has such great body, you are shocked that he doesn't live at the gym". Tell a Libra female that her clothes look like she got them right off the runways of Paris, New York, London, or Milan. It's not good if you are complimenting/hitting on a Libra and you look like crap. You should look like you know what you are talking about; you must be your best physically and with the most elegant fashion. You must have a refined elegant taste in clothes to impress a Libra. Libra must believe that you know all about the finer things in life. If you are into wearing polyester or any of the synthetic materials because they are cheap, forget about a Libra ever taking you seriously. When you meet a Libra, you like and you are on a date; talk about your good feelings about relationships. Libra astrology sign people are into having relationships; if they are single they are a relationship waiting to happen. In fact, if they find an interest in you, their first question to you may just be, "Are you involved with anyone?" "I’m dating a few people, but not seriously." "I was in a relationship, but they were too unavailable." " I met someone recently, but I don't think it will work out." Once you have opened up the discussion in this manner it's time to tell Libra about your love of being in relationships. You have to tell Libra how at ease you are with someone else in your life, how you see relationships as being important. Tell Libra how having someone special in your life makes you feel complete, totally satisfied, and so forth... And so on. "Are you involved with anyone?" "Is there someone you have to see tonight or tomorrow?" "Do you want to go out to dinner or something?" Basically, whatever applies to your situation with that Libra. When it comes to an Aries (the polar sign to Libra), Aries is the "star". 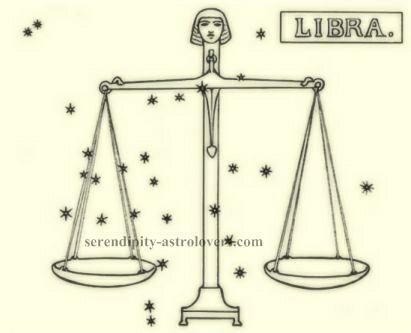 A Libra astrology sign person on the other hand, wants to have the star or be seen with them. So, if there is anything about you that gives off this "star" quality, let it shine for the world to see and Libra will want to make you theirs. Maybe you are very pretty or good-looking. Possibly, you're rich. Perchance others are chasing after you. Maybe you are gifted and aiming to make it big. Maybe you're big time already. Alternatively, maybe you're talented at making yourself appear to be the "it" guy or girl. The only caution I would impart to you is to keep in mind that if a Libra is so taken with you, Libra could easily see you as their Mr. or Mrs. Speaking of which, the divorced Libran is a sucker for love; even if they are just starting the separation phase.